In a Nutshell: Young Americans aren’t typically thought of as sound financial planners, but the Current debit card and money management platform is empowering the next generation to break that stereotype. Parents can connect their bank accounts to the mobile-only Current app and retain visibility on transactions and control over how money can be spent. Their children can use the secure Current chip card and app for purchases, receiving deposits, managing their accounts, and even setting savings goals or donating to charity. Current gives parents a convenient and secure way to teach their children about finances — while kids can learn through experience about how far their money goes. Until Current arrived in 2017, no app on the market enabled parents and their children to manage money together. Chore and household management apps, aimed mostly at families with pre-teens, encouraged responsibility but placed the onus of control on parents. And, they didn’t integrate with banks. On the other end of the spectrum, most banking apps were designed for individual account management. Parents typically had to hand over a credit or debit card and act as a custodian over their child’s spending — with no assist from the app. But Current occupies that sweet spot between chore apps intended for children and banking apps that offer no interaction or control. That means American parents traditionally act as family bankers. It’s an arrangement that’s been around for generations — for better or worse. But with the advent of Current, that’s beginning to change. “We’ve come on the scene at a time when technology and culture are converging to create an opportunity for families to form positive interactions around money,” Lowey said. The Current app helps parents guide the next generation — Gen Z — that has grown up in the era of mobile devices and ecommerce. Gen Z is motivated to learn financial responsibility in a way their predecessors simply were not, Lowey said. Current knows how to engage with those young people and encourage them to build healthy financial habits. Current has more than 230,000 active users and helps children ages 13-23 learn how to manage their money independently. At the same time, parents maintain control so they can ensure those financial lessons are learned. After signing up, parents can connect a bank account from more than 3,000 institutions. Within a few days, a Current chip card arrives in the mail, ready for authorization and action. The parents’ bank accounts aren’t completely accessible through the Current card — only authorized deposits are transferred into Current for the child’s use. Transfers occur instantly or on a schedule determined by the parent. For example, just a few steps are required to set up a periodic allowance payment. And when a child, in a pinch, sends a pleading text, relief is just a few seconds away — if that’s how the parent wants it. Current signup is fast, and parents can link bank accounts from more than 3,000 financial institutions. Visibility comes in the form of notifications when each transaction happens. “You know exactly when your son swipes at his favorite pizza place down the street,” Lowey said. And if those pizza purchases ever get out of hand, flexible controls let parents not just set spending limits but also temporarily or permanently block stores or even entire categories of spending. From a teen’s point of view, Current is like a breath of fresh air. It’s a modern chip card and encourages a sense of independence — and a corresponding feeling of responsibility. 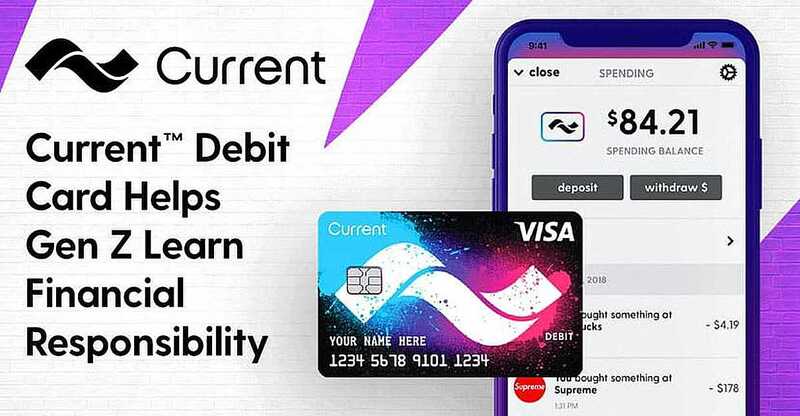 In addition to an intuitive set of account management tools, Current helps teens form positive financial habits with app components for setting short- or long-term savings goals and even making charitable donations. The app encourages kids to set savings goals and helps them keep track of spending. With a feature known as “round-ups,” Current users can transfer the spare change left over from a transaction into savings. Lowey said users can easily save $100 a year doing that and children can see the impact of a consistent savings strategy. The app also facilities charitable giving through a third-party tie-in that partners with a variety of local and national nonprofits. 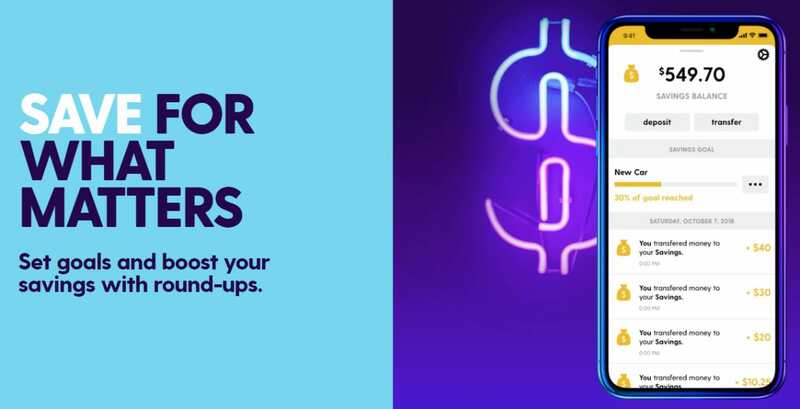 Users can target their round-ups or dedicate other money for charity and have those funds automatically transferred once a certain threshold is reached. Parents want to help a new, mobile-oriented generation learn the financial skills necessary to succeed in life, which is why Current was founded. And the app is continuing to expand its set of features to include the payment types of the future. Current supports payment platforms and transfer services like Apple Pay and Venmo, respectively. And parents can add additional family members to their Current accounts — co-parents, grandparents, and more. Those options reflect the diversity of modern family structures while keeping children on the right financial path. “Parents living separately can manage a Current account together, but with privacy from one another,” Lowey said. Teens can also receive other forms of payment — including direct deposit — for work they might perform in the up-and-coming gig economy. “A lot of kids don’t show up in the labor statistics the way they used to — they’re not as interested in working a summer job at a fast-food place for eight bucks an hour. They’re out doing their own thing, and they want to get paid,” Lowey said. Gen Z has many issues it will have to deal with — including the pervasive role of social media in daily life — but Lowey said they’re savvier about the world, more skeptical about advertising, and less tolerant of things that don’t make sense. Current gives this new, self-actualized generation — the first raised with mobile devices and ecommerce — the hands-on experience they need to succeed financially. In the process, the app assists the adults in their lives by setting up a structure in which real-world financial practice can occur.